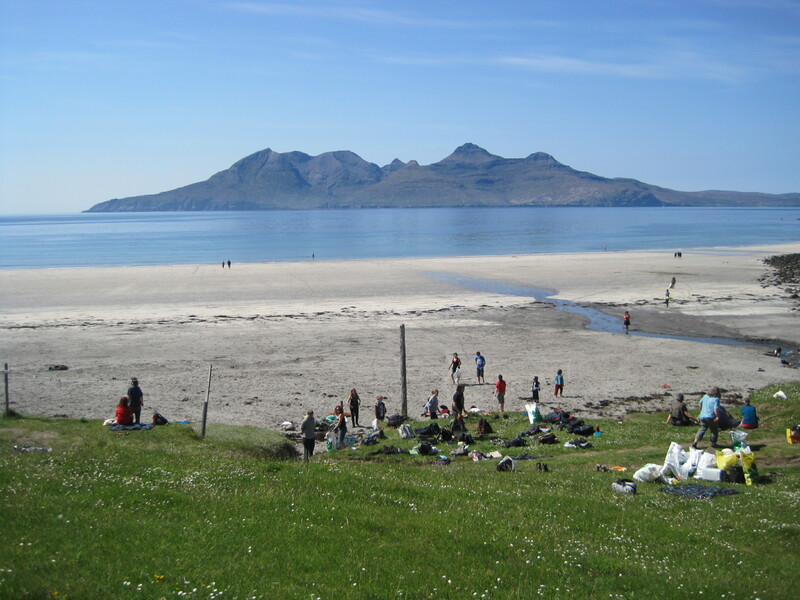 Whilst volunteering for the Isle of Eigg Heritage Trust it offers a variety of different opportunities. 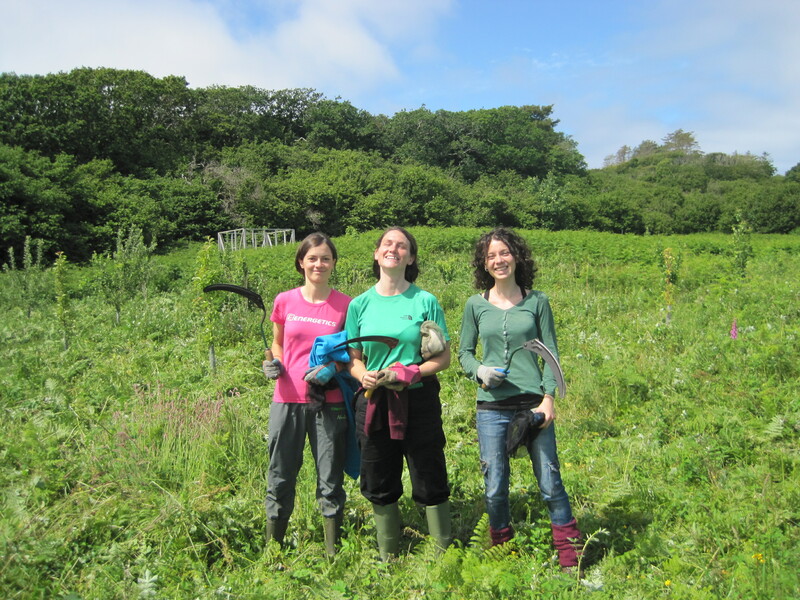 We invite you to spend time working with the community to improve the island’s natural environment, complete essential conservation tasks, monitoring and practical projects. Volunteers make an enormous contribution to the island of which residents are eternally grateful. Places are available between April to September. Applications will only be considered for a minimum period of two weeks to a maximum of two month. 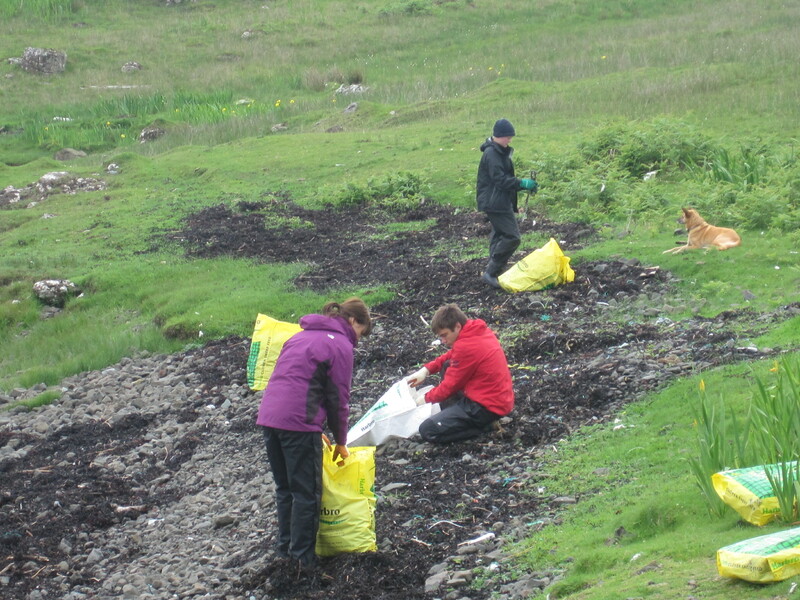 You can expect to carry out tasks like litter picking, bramble & bracken management, herb garden weeding, natural regeneration management, beach cleans, marine litter monitoring, helping with community events and celidhs or if you can bring a specific skill to the island then please let us know in you application form. We are looking for enthusiastic caring folk that work well as part of a team and at times will be without supervision so it is essential that you are self motivated and can work independently. Costs applicable as an individual volunteer is £25/week. 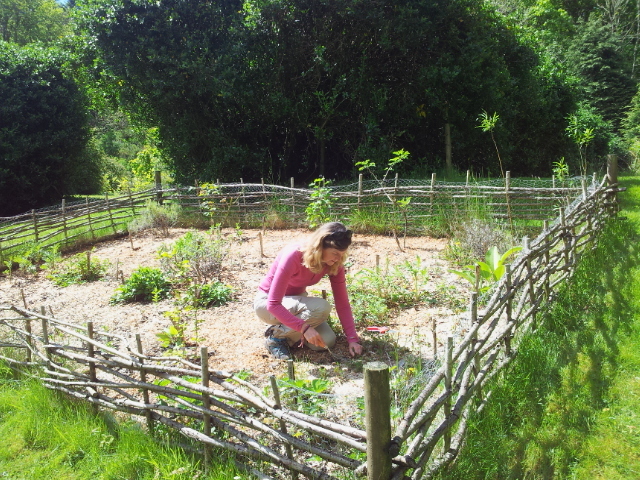 To give you an idea of what a weeks timetable could look like…..
Monday – General tasks at our tree nursery, watering weeding, setting up a watering schedule for the week etc. Tuesday – Path clearance, mainly concentrating on the coloured dotted routes. 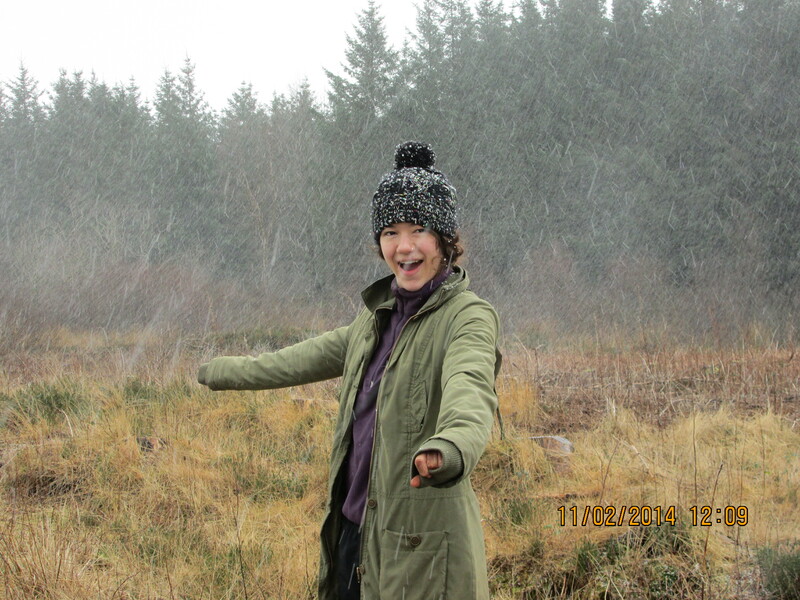 Wednesday – Join forces with the SWT volunteers bringing our team to 6 to work on larger tasks in clearing around trees in badly overgrown areas in Sandavore, Galmisdale & the forestry. Thursday – Usually a gentler task to give the muscles a break like a beach clean or cutting out brambles from shrubs in the lodge gardens. Friday – Croft Day, a chance to help out on a croft, meet locals and see how varied a croft lifestyle can be. Saturday & Sunday – Days off to explore the island, pursue personal interests and a well earned, rest! Alongside the volunteer programme there is the opportunity to be involved and learn about the many things that go on on our busy island. While you are here the timetable can be flexible to allow you to go on a wildlife walk led by the Scottish Wildlife Trust’s Ranger to learn about the astonishing variety of habitats for the size of the island. Talk to members of Eigg Electric to learn about the islands multiple renewable energy source feeding into a grid system to supply the whole island 24hr power. Boat trips are possible to discover some of the surrounding islands. With the prospect to enhance personal interests in community living, renewable energy, wildlife, crofting, island history and many more subjects out-with the volunteer programme please don’t hesitate to let us know and we will do our very best to accommodate your interests.